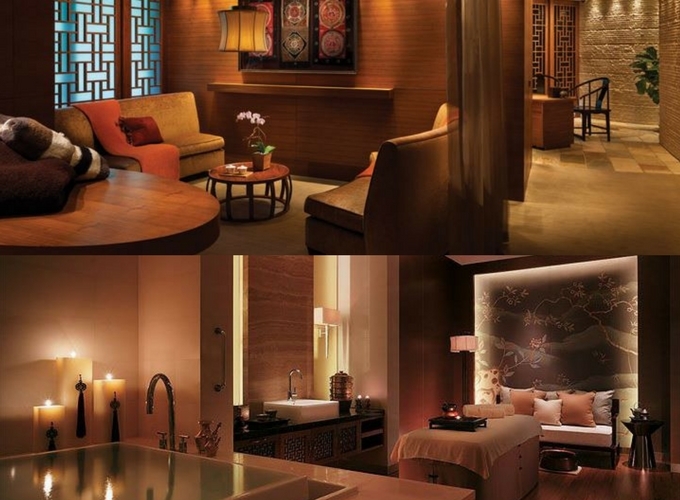 One of the most luxurious spas in Vancouver is CHI at the Shangri-La Hotel. 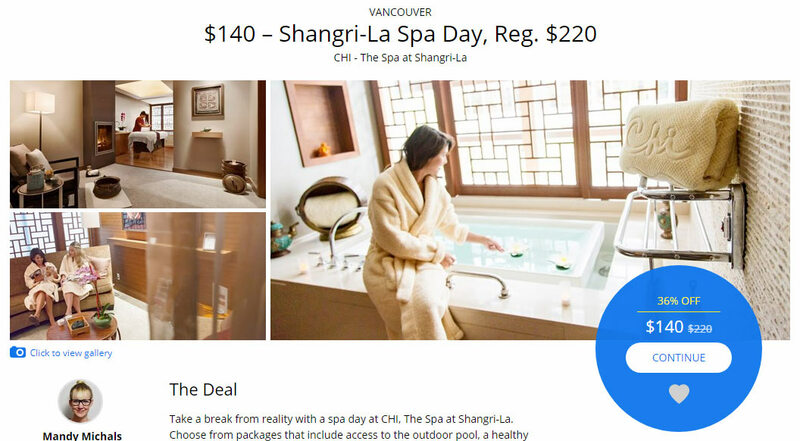 If you’re looking to refresh and rejuvenate at CHI, here are a few tips on how you can get a deal or discount on your next spa experience. CHI features an exclusive selection of treatments inspired by the natural beauty of the West Coast of British Columbia. CHI massages and treatments are based on authentic natural healing methods found in traditional well-being practices shared by many Asian culture. Some of the services they offer include body treatments (like West Coast Wrap and Crushed Cabernet Scrub), facials (like Wild Seaweed and Sea Therapy Facials), Journeys (like West Coast Detox and Escape to Bordeaux), and massages (like West Coast Wave Massage and CHI Hot Stone). Did you know that CHI is a WaySpa partner? 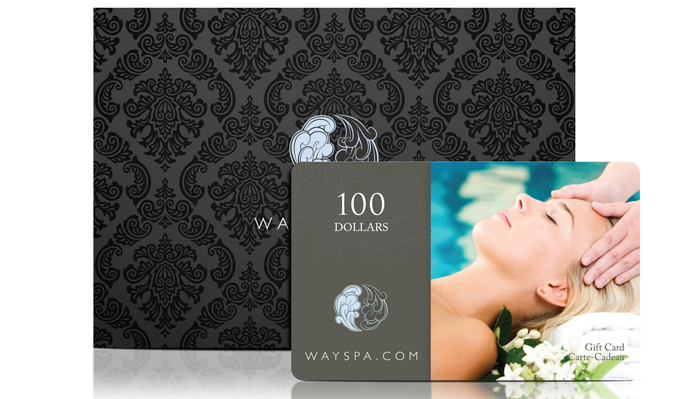 If you’re not familiar with WaySpa, their gift certificates provide access to some of Canada’s finest and most luxurious spas. You can choose from thousands of rejuvenating spa services, available at over 2,000 participating spas across the country. Wayspa gift certificate can be used for CHI or any of their partner spas (like Scandinave Spa Whistler for example). The reason why I support the purchase of WaySpa gift certificates is that you can get more bang for your buck. That is, WaySpa gift certificates can be bought for less than their value. You can purchase Wayspa gift certificates from Wayspa or from a few other vendors for 10% -25% off from their full value. That means, you get a discount on your spa experience when you use Wayspa. Below, I will show you how you can get that discount by buying Wayspa gift certificates when they go on sale, from Costco.ca and from Ebates.ca. 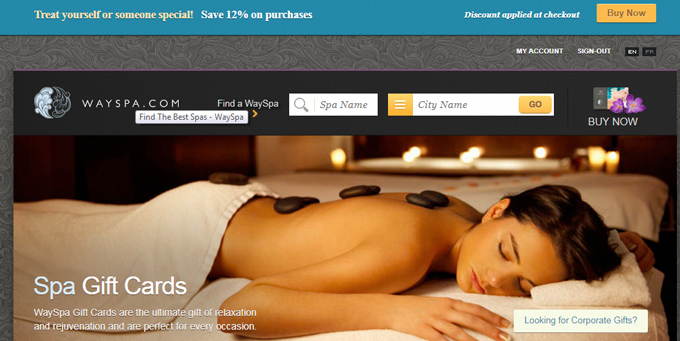 You can purchase Wayspa gift certificates directly from their website. They tend to offer discounts throughout the year especially in time for special holidays like Mother’s Day and Black Friday. You can receive notification of these offers by subscribing to their newsletter. Costco sells WaySpa gift certificates at the price of $74.99 for two $50 gift certificates. Ebates.ca recently launched a gift card service in partnership with CardSwap.ca where you can receive Cash Back for your gift card purchases. Depending on the retailer, these gift cards can be either a code sent to you electronically or a physical card. If you buy a Wayspa gift certificate via Ebates, the Cash Back rewards are credited to your Ebates.ca account within 7 days. If you are not an Ebates.ca member, feel free use my referral link to sign up. To see the Travelzoo deal, visit here.